Hithertwo and its adjoining property Comehither are in a quite outstanding position overlooking the stunning beach at Polzeath. This enviable location is perfect for those looking to take advantage of the superb surf in the bay or to maybe explore some of the fascinating walks around nearby Daymer Bay or around the dramatic Pentire Headland. The quaint villages of Port Isaac and Port Quinn are just a short distance away and you can catch the ferry to Padstow and enjoy some of the best food in Cornwall. Hithertwo is a basic, but comfortable holiday home benefiting from outstanding views across the beach at Polzeath from either the conservatory or the kitchen. There is a raised patio area immediately outside the property with outside furniture, which is also a brilliant place to enjoy the view from. It is a small property that is ideally suited to just 2 people, but with the sofa bed, can accommodate up to 4 at a squeeze. It can be rented with Comehither to provide accommodation for up to 10 people. 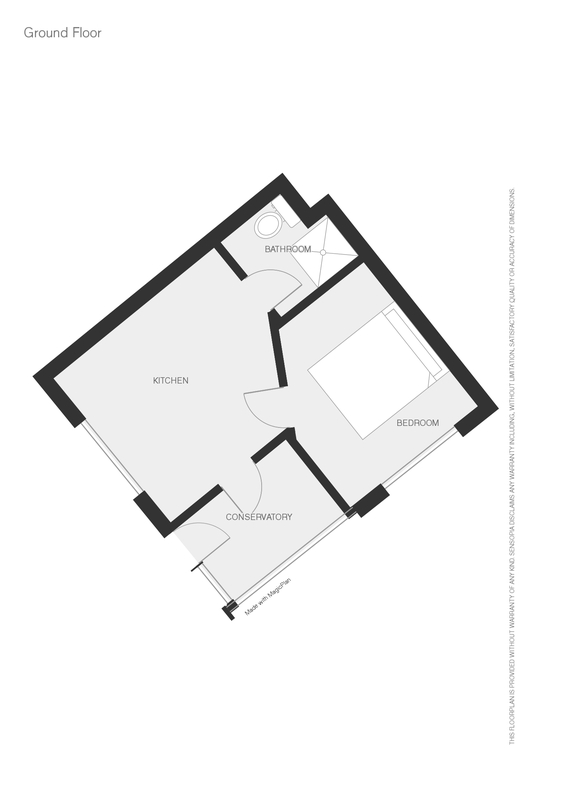 Ground Floor only: The entrance leads into the conservatory and then through into the sitting room / kitchen / diner. The sofa bed here provides a reasonable double bed. The master bedroom with two 3' single beds (which can be pushed together on request) leads off the sitting room. There is a separate shower room & WC. Exterior: The enclosed garden has an external table and chairs as well as two sun loungers on a small patio. Heating is via night storage heaters. The kitchen has a range of cupboards & worktops. There is an electric oven and hob, a microwave, toaster, kettle, a fridge, small chest freezer and washing machine. The sitting room has a digital TV & DVD player. There is an iron & ironing board. Electricity and bed linen are included but you will need to provide your own towels & beach towels. There is parking available for up to 2 vehicles below the house. Up to two well behaved dogs will be permitted at a small additional cost of £25 per dog / per week although please remember that you cannot leave dogs unattended in the cottage alone. Regrettably no smoking is allowed. There is a cot and high chair available. Free WiFi is obtainable at the Tubestation Surf Lounge close to the property. £50 pre-authorised to your credit or debit card as a security deposit is required. Polzeath has one of the best surfing beaches in Cornwall with acres of flat golden sands. Lifeguards and board and wetsuit hire are available all summer. Polzeath has a selection of restaurants, cafes, public houses, surf shops and schools, a post office and convenience stores. If golf is your thing, not only are the 18 holes of the Point at Polzeath on your doorstep but St Enodoc with its two 18 hole courses is also only a 10 minute drive with views overlooking Padstow and the Camel Estuary. Within walking distance are also Rock, Daymer Bay (great for windsurfing), Pentire Point, St Minver and Trebetherick. If you brought man's best friend with you then the options are limitless. The Camel Trail is a flat 17 mile multi-use path that follows the old railway line between Wenfordbridge, Bodmin and on to Wadebridge and Padstow. Bike hire is available in Wadebridge and Padstow. There are coastal paths aplenty with stunning rugged Cornish coastline to admire - although there are some big cliffs if your dog is of the more excitable variety! Fishing is available on the Camel River (passes can be acquired from Wadebridge Pet Shop). A wonderful place to rest and be still. I was looking for a place at the heart of Polzeath where I could rest, think, pray and be creative. This was the perfect place. I had a brilliant time. Great to be able to plunge into the (rather cold) sea and be in a warm shower 5 minutes later! Guest from Kingsbridge stayed for 5 nights. Guest from West Drayton stayed for 7 nights. Whilst the location was lovely, we found the accommodation to be very basic and in need of refurbishment. We were put off by neibours with dogs and mess being left on grass areas. Having visited Cornwall every year, thus would be the worst experience. We had a wonderful week at Hithertwo, the cottage was clean and tidy and situated close to the beach, providing a lovely view over the bay at Polzeath when sitting outside on the patio. Some excellent walks were situated close by for walking the dog, especially the walk to Daymer Bay. We would definitely go back to Hithertwo in the future. Guest from Hucclecote stayed for 7 nights. I found the area Polzeath to be very well placed for the Beach ( 100 yards ) & places like Rock which was a short walk away. The owner of the place ( Margaret ) was helpful & polite with a typical cornish attitude. The building itself was adequate & well kept, with a good view over the area. Guest from Windlesham stayed for 5 nights. We were very pleased with the accommodation and made an excellent base for walking on the beaches we have been coming to this area for many years and have always enjoyed it summer and winter and Hithertwo made it another relaxing stay we would recommend to anyone. Very convenient, cheap and cheerful cottage in the center of Polzeath. The location couldn't be better, and the cottage was clean and cosy. The decor is quite dated, but for the price, it was a bargain. The beds are adequate, but not terribly comfortable. The sofa bed is very uncomfortable. Be aware that this cottage is for people who do not necessarily mind about comfort while sleeping. The kitchen area is stocked well and easy to navigate for cooking. It should be noted that there is very little room to turn or maneuver a medium sized vehicle around the drive and into the parking. A larger vehicle or Range Rover would run into trouble. This should be well known. And lastly, the cottage sits very close to the entrance of a very large and busy campsite which is quite noisy through the night. Having said that, we did choose the busiest month of the year to go there, so perhaps any other month except August would be fine. Guest from Oswestry stayed for 7 nights. We thoroughly enjoyed our stay, very central, two minutes to the beach so lots of body boarding for my husband and children, whilst I walked our dog along the cliff. We visited Padstow, only 30 mins away and lots of NT properties with our dog. A great base to explore Cornwall. We thoroughly enjoyed our stay at Polzeath. Hithertwo is in a fabulous location, within easy access to shops, beaches, bars, restaurants/cafes and stunning coastal walks. Similarly, it is within easy driveable distance to many interesting places to visit such as Port Isaac and Padstow. The fact that we could take our dogs was also a huge positive and the location was ideal for dog owners too. Hithertwo's owners are very friendly and we had a letter of greeting on our arrival which highlighted things we needed to know for our stay. I think the property is ideally situated but would benefit if it was upgraded as it is a little tired with regard decor and fittings. This is a minor point and is a matter of taste but we felt it would improve the overall appeal of the bungalow. Had a superb time, a great place to stay, would definitely book again. A very short walk to a glorious sandy beach, full of delights for a whole family, a romantic spot too, secluded and endearing, as much as was needed. Accommodation was A 1 with its own conservatory overlooking the bay, could have just stayed in for an even more relaxing break. You will never be disappointed here. Guest from St Neots stayed for 7 nights. Had a lovely week, a very relaxing cottage. It was close enough to some great places to eat. The cottage had lovely views over Polzeath Bay which was very geared up for windsurfers, couldn`t quite see them surfing from our cottage (Hithertwo) but the cottage next to us (Comehither) did. We were a bit disappointed we couldn`t take our dogs on to Polzeath beach, but there was a lovely walk over the cliff tops to Daymer beach where they had the time of their lives. Polzeath is not a very big seaside resort but does have adequate facilities. I had a lovely stay at Hithertwo and would happily stay again. Hithertwo is an excellently placed cottage with wonderful views and access to the wonderful beach at Polzeath. The accommodation is well apportioned and easy to manage. Guest from Hastings stayed for 5 nights. We had a great time during our stay - the beachs at Polzeath and at daymer bay are beautiful. There are places to walk with fantastic views and Padstow and Wadebridge are really close. I know the area well and this was my first time back in a few years but it never fails to impress. Hithertwo was perfect for what we wanted and the view is amazing. Guest from Forest Town, Mansfield stayed for 7 nights. A lovely place to stay. Breathtaking views and beautiful wildlife. Excellent place to try your hand on the waves. Fenced off garden with view of the sea which was great for the kids and the dog. Well managed and looked after with great communication. Clean and compact. Would have benefitted from a spring clean though ! Sofa bed very un comfortable. Well equiped. Would go back purely for the location. Guest from Cullompton stayed for 7 nights. Ideal for two people and their dog. Very close to the coastal footpath for walks and a good centre to explore from. Local services good. Vehicular access a bit tight if you have a large car, otherwise very good. Would highly recommend this accommodation! Coming back with the whole family in 2014. Excellent value for money...views amazing too! Wish we were there now!